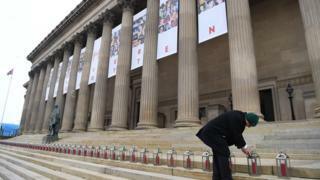 Ninety-six lanterns were lit on the steps of St George's Hall in tribute to those who died. Banners with images of each of the fans killed in the crush at Sheffield Wednesday's ground were also displayed. A minute's silence was held across the city at 15:06 BST - the precise time the 1989 FA Cup semi-final between Liverpool and Nottingham Forest ended. The message on Mr Anderson's wreath read: "Never Forgotten. Reds and Blues united." 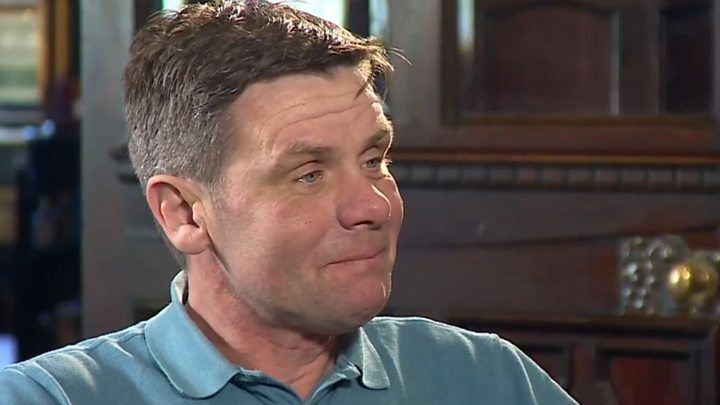 Speaking outside St George's Hall, Louise Brookes, whose brother Andrew died in the disaster, said: "Andrew has been dead now four years longer than he was alive. On Monday morning Liverpool FC manager Jurgen Klopp and captain Jordan Henderson laid a floral tribute and the first team, academy and women's squads paid their respects by visiting the memorial. 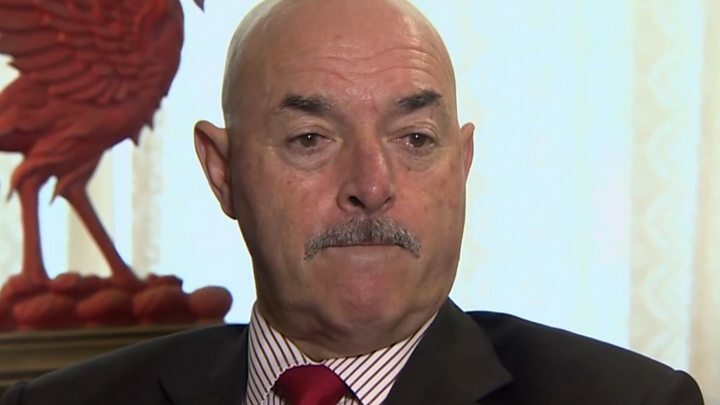 He posted a picture of the Hillsborough memorial on Instagram with the caption "Never forgotten".